Why did Chris Pratt Retweet A RepresentUs Leader? On July 18, 2018, actor Chris Pratt retweeted Represent Lansing Chapter Co-Leader Hugh McNichol IV. 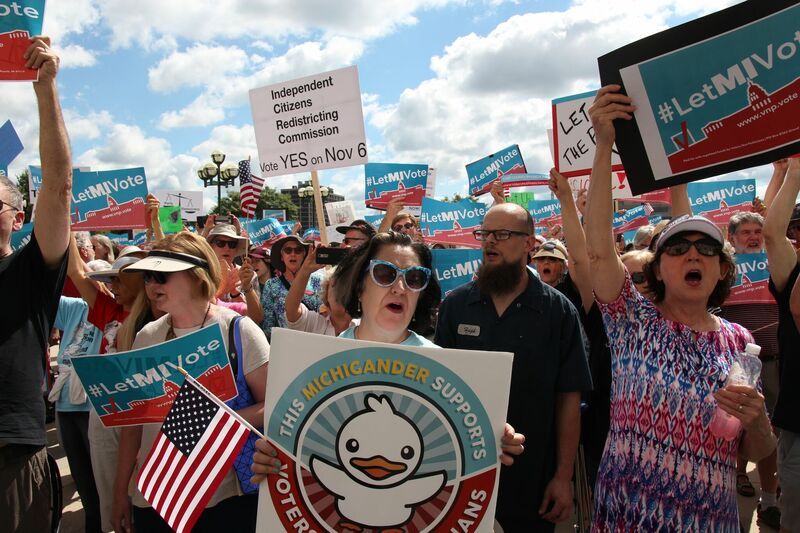 Over 425,000 Michiganders signed petitions to place an anti-gerrymandering initiative on the November 2018 ballot. 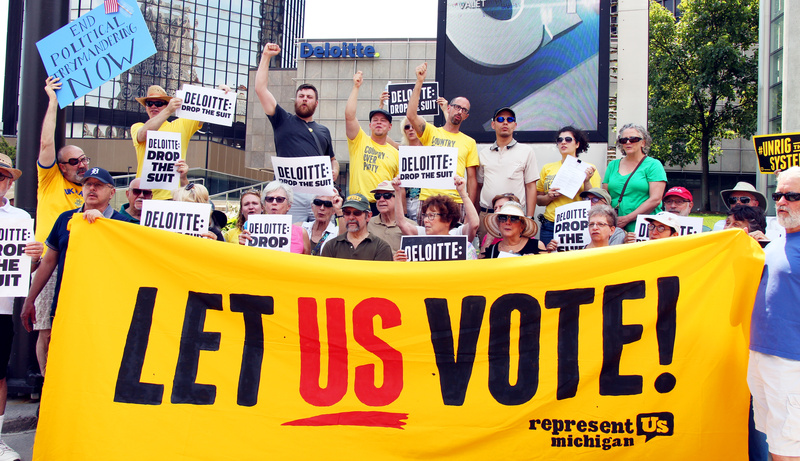 But when the Michigan Chamber of Commerce sued to stop the initiative, Represent.Us members called out this dark money group for funding a lawsuit to stop the will of the people, leading a protest campaign online and in person to let them know—the people will not be silenced. When the Chamber began to respond to the protests with dubious facts and misleading allegations of "terrorist tactics," Represent Lansing Chapter Co-Leader Hugh McNichols IV set the record straight. His powerful rebuttal first resonated with Michiganders, and then made waves nationally when Chris Pratt (yes, *Avengers* Chris Pratt) amplified Hugh's message: drop the suit, and let the people vote. This piece originally appeared in the Holland Sentinel. By Hugh McNichol IV, Iraq War veteran and co-leader of the Lansing chapter of Represent.Us. You should really see this: https://act.represent.us/sign/pratt-michigan-gerrymandering?source=taf . RepresentUs has a smart plan to fix our broken political system. Check it out. Last Friday, while at work, I started receiving calls and texts about opinion pieces in the Detroit News and Free Press claiming that members of Represent.Us used “terrorist tactics” and made “death threats” toward members of the Michigan Chamber of Commerce. I want to state publicly that I, nor anyone I know with Represent.Us has ever published anything that could be construed as threatening or violent. When a couple of inappropriate comments were posted by members of the public, not affiliated with Represent.Us, on social media, Represent.Us staff immediately deleted them. Represent.Us and I do not condone or advocate violence in any form. For the opinion piece authors, they should be ashamed of their work. They should stop calling themselves journalists, as it tarnishes the reputation of those that do their research and interview both sides. Real journalists ask for proof of outlandish claims, like the use of “terrorist tactics.” That’s a term we use to describe hijacked planes, roadside bombs, abductions, beheadings, etc. I understand these authors’ incentive to be rhetorical but these columns went too far with their unsubstantiated claims. They have earned the label of fake news. One of the authors labels Represent.Us chapters as “left-wing” even though our members range from across the political spectrum. I personally oppose raising the minimum wage, advocate against straight-ticket voting, I like guns, believe in balanced budgets, support “right to work,” and think that pipelines are the safest way to transport hazardous liquids/gases. What brings us all together is methods of unrigging our elections, like how politicians get to pick their voters, and our struggle against the corrupting influence of money in politics. Hugh rallies outside the Michigan Supreme Court along with members of Represent.Us and Voters Not Politicians. Which brings us to the Michigan Chamber of Commerce — the group trying to take away our right to vote for (or against) an anti-gerrymandering ballot measure on Nov. 6. The chamber’s underhanded false-claims, smoke screens and efforts to disenfranchise voters is nothing new to them. Don’t get me wrong, local chambers can be great allies for small businesses, but who does the state Chamber of Commerce serve? The answer is their big moneyed interests. One of them is Deloitte Touche Tohmatsu Limited (professional services and accounting), who has received over $400 million in state government contracts. Another is a foreign-based energy conglomerate. The chamber gets funding from big corporations like these to help them secure preferential treatment by government leaders and to maintain the status quo. I believe the Michigan Supreme Court will make the same determination as the Court of Appeals made; that Michiganders’ earned the right to vote on the anti-gerrymandering ballot measure. Let us vote. That’s all we’re asking. 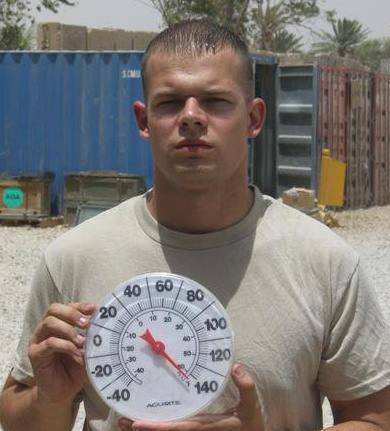 — Hugh McNichol IV is an Iraq War veteran and co-leader of the Lansing chapter of Represent.Us. Celebrities are great for bringing attention to our issues, but local, volunteer-led chapters are the heartbeat of our movement. From coast to coast, dedicated people like you are organizing across the country, working together to pass meaningful anti-corruption reforms. Are you a Michigan resident? Sign up to join any of our local chapters in Metro Detroit, Lansing, or the Great Lakes Bay Region. If you are ready to lead in your town or state, let us know who you are and what matters to you. Together, we can support local initiatives that fight corruption across the United States!